anybody know what the prize is? For what? Where’s your selfie with one of the aircraft in the game? I posted me in front of an f86 sabre painted in the golden hawks flight demonstration team colours from the 1960's. (Canadian thing like blue angels or thunderbirds) I also posted a few of the Lancaster bomber since I live in Hamilton and there are only 2 flying lancasters in the world. Hamilton Ont Canada has one the other is in London England. and then I posted pics of some other bomber hopefuls for the next update like b25 Mitchel and Grumman avenger. All pics were taken at the Hamilton warplane heritage museum. I have more selfie pics of in game planes from there as well but I didn't post them yet. I was going to wait till I got my prize than see if there was any rule about winning more than once I have spit, hurricane, goldfinch and I cant remember what else, lots of planes there. Then it’s on Sonic since he didn’t post an end date. PM him then. 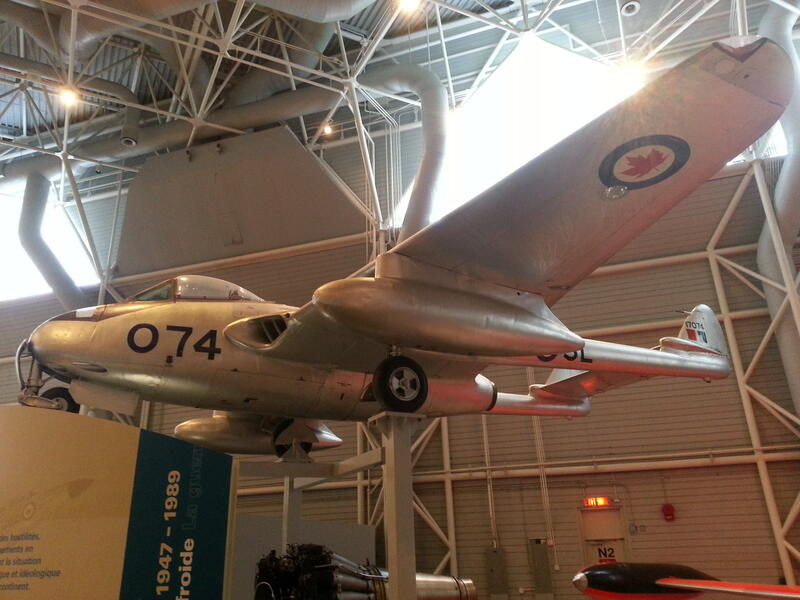 de Havilland Vampire (Canadian Air and Space Museum) ... Well, it's in the game files... WHEN CAN WE HAVE IT WARGAMING??? Edited by Xr901, 19 September 2018 - 02:32 AM. How about Elvis's Pink 2 prop Airplane with full, floor to overhead pink shag?? Edited by sandtiger, 10 January 2019 - 12:33 AM. Edited by Eugenio_Regis, 15 February 2019 - 03:35 PM.